The recently released HDL Control app enables complete set up and control of a HDL BusPro® automation system in just a few steps using your iOS device. HDL integrators can now rapidly commission and test a system without the need for a computer and training takes a few hours, if not minutes. The same tools can be used to create lifestyle scenes for each room, scenes including light, heat, cooling, shading, and much more. It also enables your clients to make changes to their scenes, settings, all from within the App. Programming is now a breeze. You group circuits together with the App and set scenes etc. Change device addresses, name circuits, upload graphics and text to HDL keypads directly from the App. 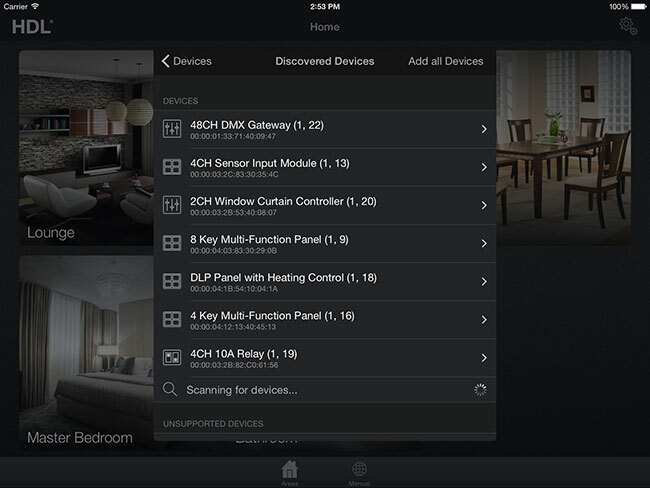 Control heating and cooling, curtains and blinds, everything you need in the palm of your hand. Use the App to customise the experience: take photos of your clients rooms for navigation to all the room controls available. Set the scenes for various moods and let your customer use this powerful feature to adapt their scenes for themselves. But you will probably want to password protect the customer access to the commissioning setup tools which are intended just for accredited HDL integrator partners. How do you deploy the App to all your customer smartphones and tablets? Each HDL integrator has a personal cloud account. Projects are automatically synced to the cloud and are therefore backed up. A unique QR code is available for each project. This can simply be emailed to the customer to scan with their smart-phone or talet, and the project is immediately synced back to the device. In addition to this, the cloud makes incremental backups of all projects and allows for reset of system to a given restore point. 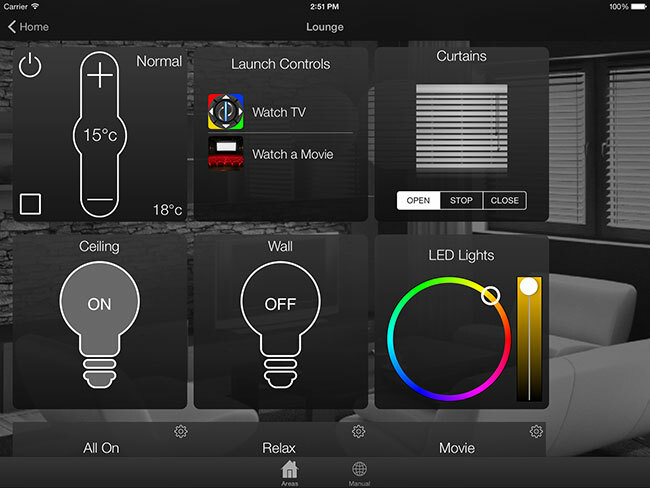 Used in conjunction with our CentroControl App, you can configure a customised setup including AV control. Both HDL and AV control can then be available from a single app.